Any location that ends up landing Amazon’s second headquarters location is likely to experience an immediate burst of apartment development activity. It is simply a challenge to absorb an influx of up to 50,000 additional workers in a single neighborhood during a relatively short time span. However, some of the cities on the company’s short list can accommodate Amazon’s future housing needs much more readily than others can. 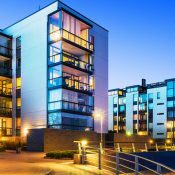 Locations in Dallas, Atlanta and Washington, DC appear to be attractive choices in terms of rental housing options. 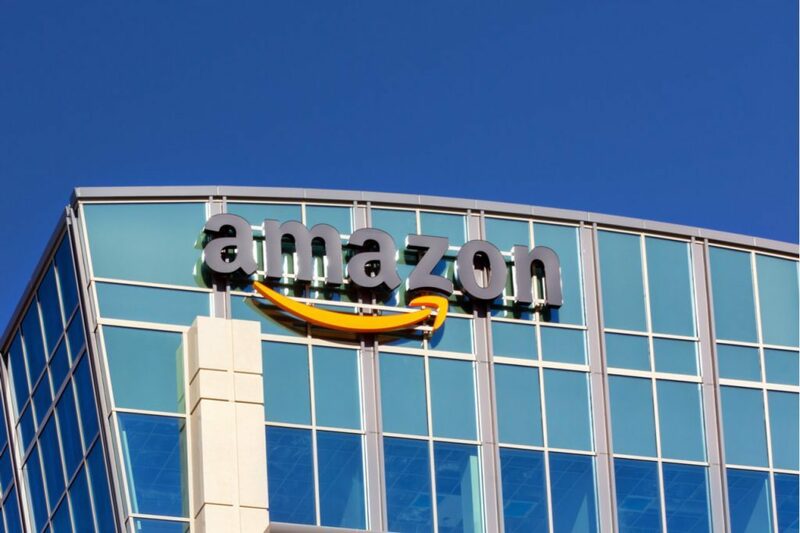 They offer enough available apartment product to satisfy demand generated by Amazon’s initial phase of development (500,000 square feet in 2019), and sizable building pipelines are in place to serve expansion of the first-phase headquarters site. Adding to the appeal of the housing product, those units rent for prices below or comparable to apartment costs in Seattle. Dallas and Atlanta are two locations that can take care of Amazon’s immediate housing needs with apartment stocks that exist now or are already coming out of the ground. Looking forward, if Amazon selected a site in one of the already-busy construction centers in these markets, building would not have to ramp up much from current activity levels. Furthermore, the price discount relative to Seattle rents would be huge. 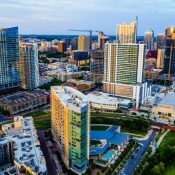 Product availability in metro Dallas totals about 57,000 apartments – roughly 33,000 vacant units in existing properties and another 24,000 or so units in projects that are under construction. Most of this available stock is in top-tier properties either in the urban core or in high-end suburban neighborhoods – exactly the type of product that Amazon workers would desire. Average apartment rent in metro Dallas of $1,124 runs 35% under the metro Seattle norm of $1,725. A brand new urban core apartment in Dallas costs $1,817 monthly, versus the norm of $2,146 per month for a new unit in Amazon’s current home in the South Lake Union neighborhood of Seattle. For metro Atlanta, the available stock tallies at approximately 43,000 units, some 30,000 of them in vacant existing properties and another 13,000 or so units in projects under construction. The biggest blocks of available apartments lie within the urban core’s construction-heavy zones – Midtown and Buckhead. With average monthly rents of $1,144 for the metro as a whole, Atlanta matches Dallas in terms of price savings relative to metro Seattle. 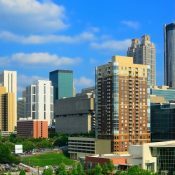 For brand new urban core product, costs in Atlanta – $2,094 in the Midtown area and $1,884 in Buckhead – split the difference between pricing in urban Dallas and urban Seattle. 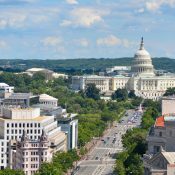 With three different locations in metro Washington, DC named among Amazon’s finalists for its second headquarters, many assume the nation’s capital is in the driver’s seat for capturing the development. Total product availability in metro Washington reaches some 49,000 units, about 30,000 of them consisting of vacancies in existing properties and roughly 19,000 in projects under construction. Availability obviously is less, if you divide that metro sum into three sectors. Still, the district, Northern Virginia and Southern Maryland all could handle Amazon’s immediate needs and could hit longer-term requirements by holding building at its presently substantial pace. Monthly rents in metro Washington, DC average $1,691, right in line with metro Seattle’s norm of $1,725. Compared to the average pricing of $2,146 for a brand new unit in Seattle’s South Lake Union neighborhood, costs are virtually identical in the Northeast DC construction zone, but a little more expensive in the Navy Yard and Central DC hot spots. Northern Virginia and Southern Maryland contain neighborhoods that are both a little more expensive and a little less expensive than Seattle’s urban core. Metro Chicago’s available stock totals about 50,000 apartments, some 39,000 of them in existing property vacancies and another 11,000 units in new projects underway now. However, a big block of that available stock is in challenged neighborhoods just south or west of Chicago’s urban core, and those are not spots where many Amazon workers likely would opt to live. It might be a stretch to meet short-term housing needs by limiting the search to The Loop and Streeterville/River North. Furthermore, while metro Chicago’s average rents of $1,420 run well under the metro Seattle norm of $1,725, new units in The Loop and Streeterville/River North are priced at an average of $2,500 to $2,600, somewhat above the typical new-product pricing in Seattle’s South Lake Union zone. 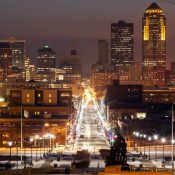 Austin, Denver and Philadelphia are metros that feature about 20,000 to 30,000 available apartments. Thus, they could accommodate Amazon’s short-term housing needs, but building would need to accelerate from recent levels to meet longer-term requirements, especially in Philadelphia. All of these cities would bring meaningful cost savings for renters, viewed relative to pricing in Seattle’s urban core. 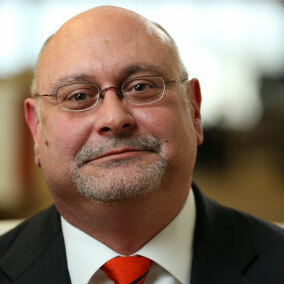 Miami’s product availability is similar to the volumes seen in Austin, Denver and Philadelphia. Pricing relative to Seattle is roughly a break-even trade. There just are not enough available apartments to meet even the short-term requirements from Amazon in several of the locations the firm listed as finalists for the second headquarters site. 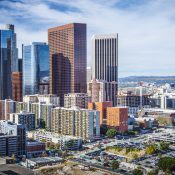 Drastic housing shortages – and, in turn, big pricing run-ups – would occur if the firm selected Columbus, Indianapolis, Nashville, Pittsburgh, Raleigh or Toronto. Remaining metros on the list of second headquarters possibilities appear to be workable locations in terms of product availability. However, it would be tough to justify a choice where housing costs are much more expensive than in Seattle. The monthly rent premium relative to Seattle reaches about 10% in Newark and roughly 30% in Boston and Los Angeles, while New York rents double Seattle’s pricing.